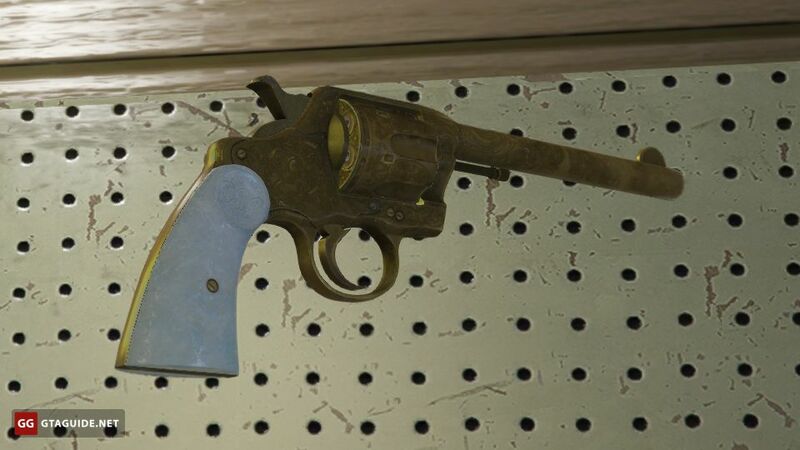 Its design reminds Colt M1892. 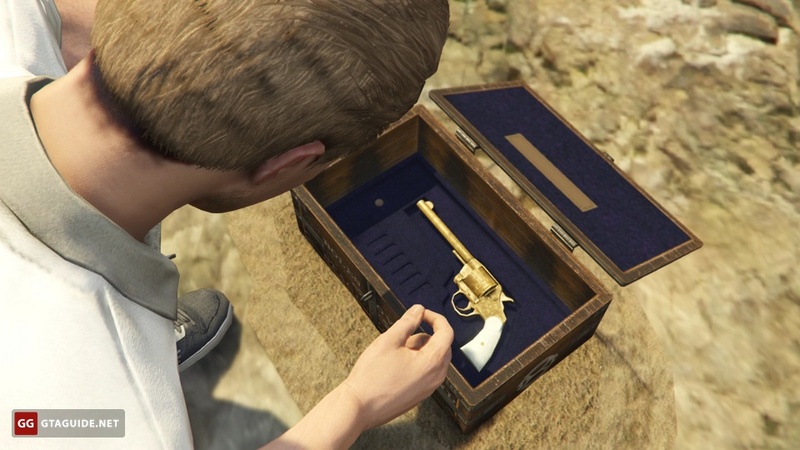 The revolver is plated with gold and has some engravings. 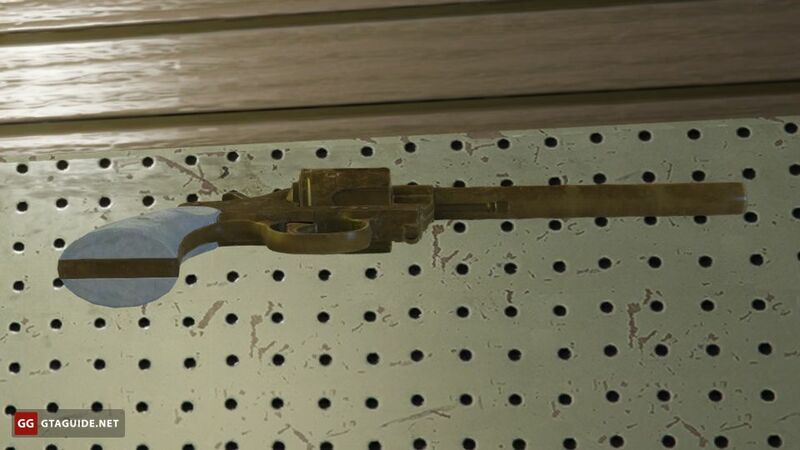 The grip seems to be made of ivory. 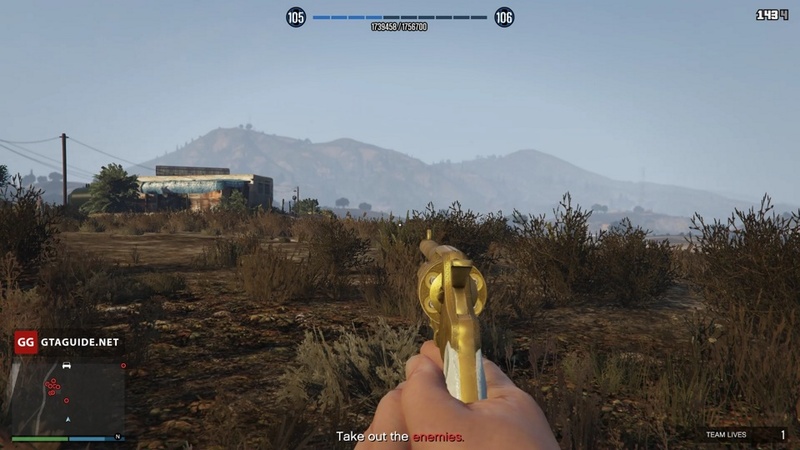 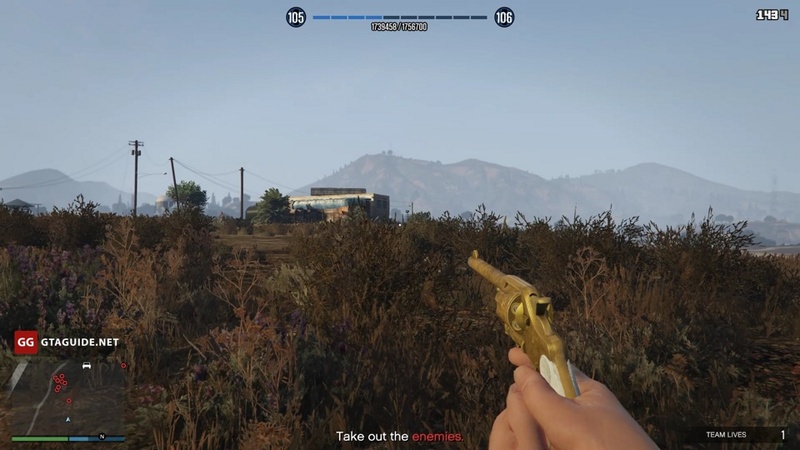 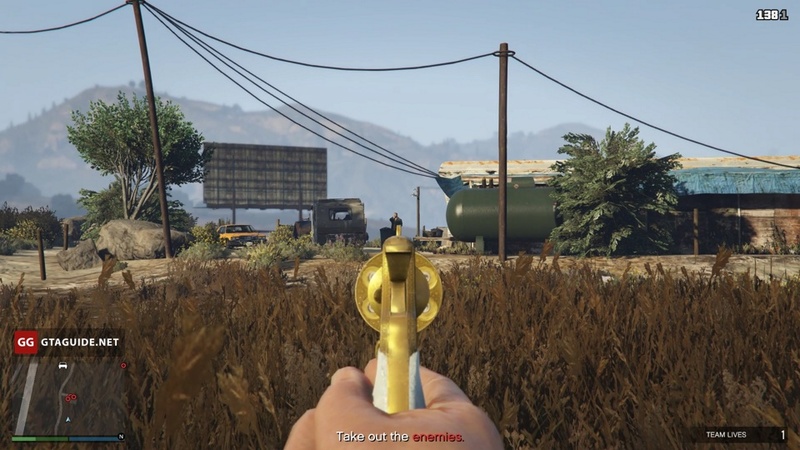 The Double-Action Revolver has the highest killing power after the Heavy Revolver, Heavy Revolver Mk II, and Marksman Pistol, which have a lower fire rate. 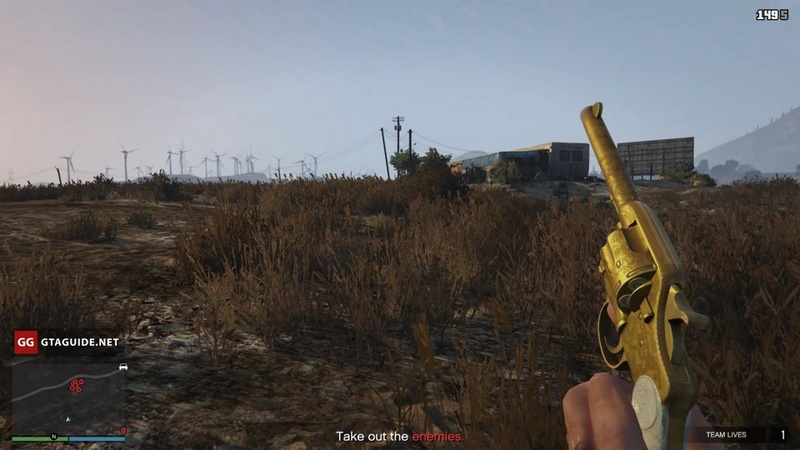 The Double-Action Revolver has a unique animation of putting away. 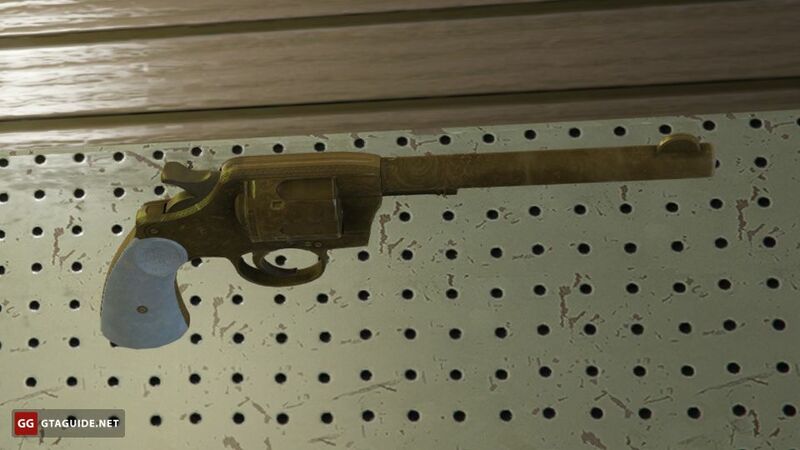 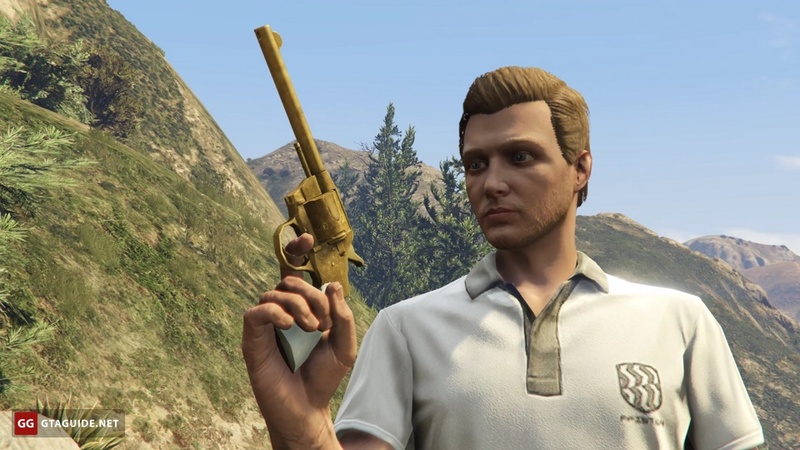 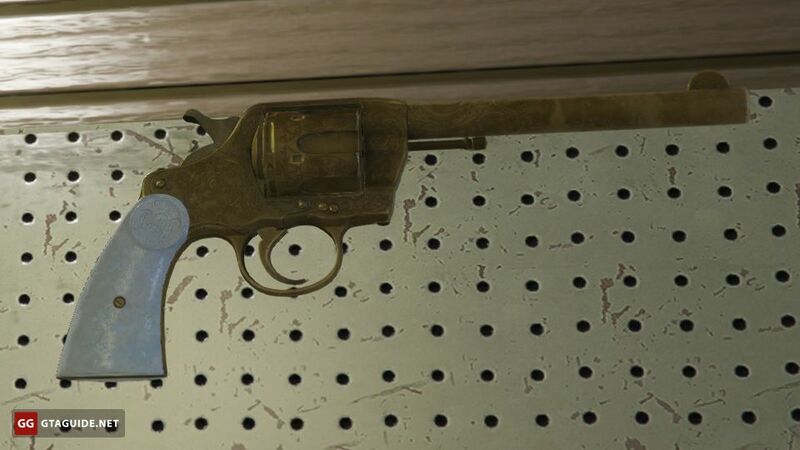 This weapon is analog of Double-Action Revolver in Red Dead Redemption, and it has the same firing sound. 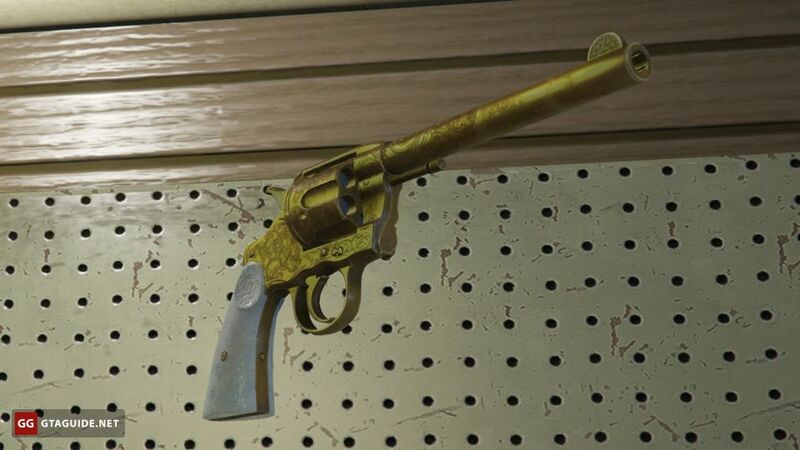 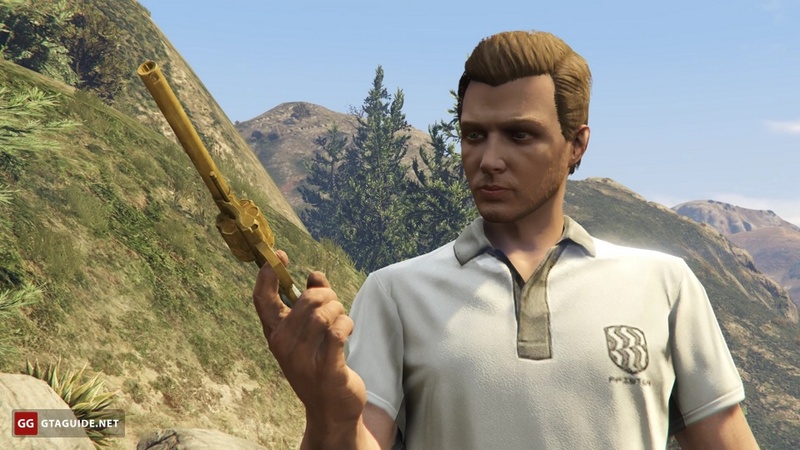 If you complete the Treasure Hunt quest in GTA Online, this weapon will also become available in Red Dead Redemption 2.